If you didn't see the part one of this, read about it over here. 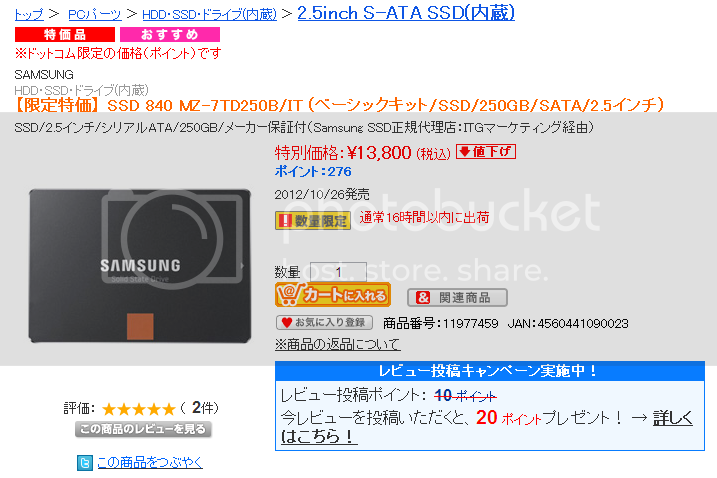 I had almost made up my mind to buy the Samsung 840 250GB SSD, when a new offer came up on Sofmap.com. 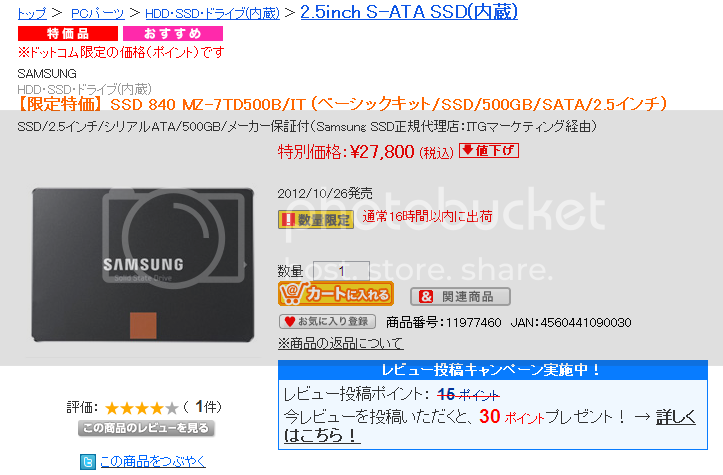 They are selling the 500GB model fora "mere" JPY27,800. Sure, it is a little bit more expensive that two 250GB drives, especially when the 250GB drive comes with 2% points. But now I am in dilemma. Should I get the 500GB model now? Or should I get the 250GB model now and upgrade to the 500GB model when the prices half - hopefully in a year. Let's look at the pros and cons of each buy. The raw drive would be a tad faster than the 250GB model when it comes to writes. Read speeds seem to be same. The drive would retain the original performance almost the entire period of usage because more the empty space available in the drive, lesser the chances of finding an untrimmed cell area for future writes. Obviously, I can install more stuff on it. I can even run virtual machines off the SSD. I can keep the hiberfile.sys so that I can use Fast Start in Windows 8. I don't have to worry about moving stuff here and there to free up space. Price. Even though it is the cheapest drive around, it is a big investment. I would not be able to ditch that drive in a year or so when faster drives come around. What if 500GB drives that are faster than this drive and also cheaper (or even same price as the aggregate of 250GB now and 500GB then) drives come around? I would not be able to upgrade because I have invested a lot of money into this drive. Sure, I can keep both drives. Obviously, the # of pros out-number the # of cons, but do they out-weight the cons? Right now, it seems I'm sitting on the fence. 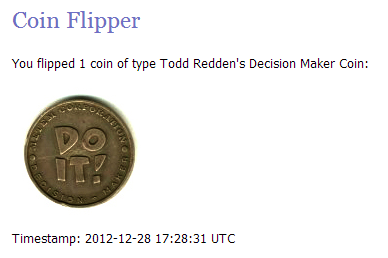 Maybe I should flip-a-coin and see. There is another reason why I probably should buy the 500GB drive right now. The pricing seems to be based on the old exchange rate which was favorable for JPY. The new Japanese government is trying to drop the value of JPY so that they can increase their export volume. So the next batch of drives would be expensive. Also this is the holiday season. Next month, the prices would be higher once more. So maybe I should use these good times to get the 500GB drive. But you know how my luck goes. The prices would drop as soon as I buy either. Guess what just happened? I tossed the coin and it said that I should go for the 500GB model. But, I bought the 250GB model. I just couldn't make up my mind to spend that much money on a drive. I would not be utilising all that space - not for another year at least - so spending money on something that I would not use is wasting money. 2 x 256GB 840 *pros* or *maybe* a pair of vectors if you want to dice OCZ reliability. because of sub-par sequential write speeds or TLC or both? for the things that I am going to use - OS, programs and Games - it should be fine. besides, the chances are that i would replace the drive in a year anyways. Aren't <1k random reads and writes almost same between the pro and the non pro? For all I know, it's the sequential writes that take the hit. Sure, 840 pro is faster overall - even when it comes to reads, but I didn't feel like spending that much. But I know I wont be able to compare the drives.